A Blend of Art and Science . . . The ProStaff Suite delivers a versatile and adaptable tool to handle the accounting industry’s most complex organizations. Our configurable modules allow your firm to unify scheduling, planning, and budgeting processes into a single solution. ProStaff is a powerful tool that has the potential of transforming your organization's scheduling process into a strategic and collaborative effort. 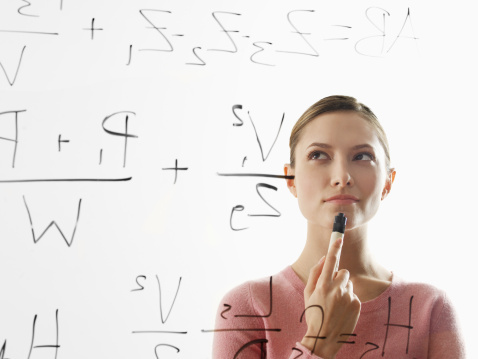 This transformation draws upon the most vital asset of your business – your accounting staff. In addition to its rapid implementation capabilities, ProStaff offers a lower cost of ownership than competing systems in the market. With our ongoing development efforts, ProStaff has become the premier scheduling system for the accounting industry. "We were using Excel prior to moving to Prostaff. When we made the switch, we had two offices and it was getting very difficult using Excel to know what was going on in the department as a whole. We can now quickly run reports to see all employee schedules across offices, while at the same time being able to quickly run reports just for a single office. The software is extremely user friendly. ProStaff makes it so easy for schedulers to see where people are deployed, upcoming availability, etc. It is great." "ProStaff has provided us with an efficient tool for scheduling and budgeting our audits. Our staff request changes and updates to the schedule based on their interaction with our clients, resulting in a timely schedule that is current on a daily basis. Our staff love the ability to roll the budgets from the previous year, edit for updates, and compare to actual time. Ultimately, ProStaff has made our entire group more efficient and, in turn, contributed to the firm's bottom line!" 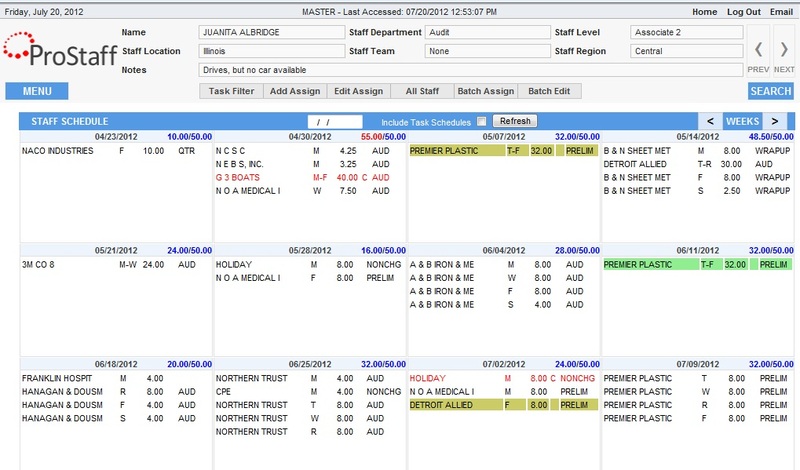 Ability to view available staff when scheduling. Ability to resolve conflicts easily. Efficiently creating assignments through a batch assign process. Making multiple changes through a batch edit process. Rolling over schedules year over year.